Home / What is a Silestone? 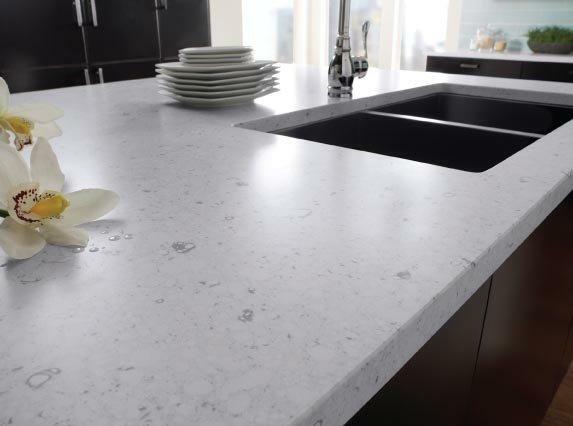 A silestone is the product which is used for the surfacing and this product is always of the high quality which is used for various purposes like countertops, vanity tops and also for the flooring work as well as in surrounding of the tubs and much more. Silestone is the product which provides elegance and also the strength to the material. It is one of the best in all kind of stones and the surfacing materials of the quartz. Silestone is the one of the leading producers and also the suppliers of the quartz which is natural throughout the world and also is growing fast in the countertop surface, as it is well known that the hardest material on the Earth’s surface is the quartz and it then helps the silestone natural resistant to the scratches and the marks which gives it the elegant look. It is almost impossible to crack or break the best surfacing product known as the silestone because it has the strength four times than that of the granite which is a very strong material and it is also proved that silestone is non porous which means no stain can affect this best surfacing product and also it is not only available in 1 or 2 colors but more than 50 colors and also have some of the products which are very innovative products which can be used to decorate each and every room or the corner of the house, after using the silestone the house will look amazingly beautiful as well as elegant in all the terms. It is the only natural quartz surfacing which includes the protection provided by the microbe which inhibits the bacterial growth and makes it the best stain proof and also prevent the deterioration of the color and the odor and becomes easy for the cleaning of the material and with the collaboration of the stone which is best in the world and the technology which is again best in the world, the silestone could be said as the best of the surfacing material whichis perfect in all the aspects for the countertops in the kitchen, wall facings and also for the flooring and also for much more things. The main manufacturer of the silestone is Spain which is also the best producer as because of the experience of many years in the industry and it could be arranged easily because of the networks made by the distributors and there are more than 3k outlets in the world and because of the antimicrobial protection which stops the growth of the bacteria, fungi and many other factors which deteriorate the material. So it could be concluded that silestone is the best surfacing material of the Earth at the present time. Silestone vs Caesarstone.